“Cоюз Українськoгo Студентства Канади” (CУСК), “Ukrainian Canadian Students’ Union”, or “Union des ÉtudiantsUkrainiensCanadiens” is a national student organization comprised of Ukrainian Students’ Organizations (USOs) at post-secondary institutions across Canada. It was formed in 1953 in Winnipeg, Manitoba. 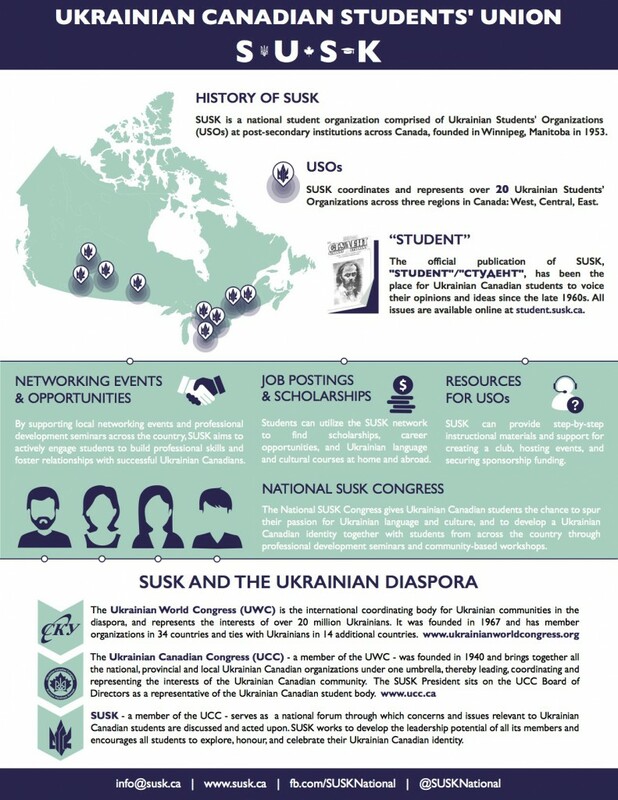 Though it fell inactive in 2001, SUSK was revived at the XXII Congress of Ukrainian Canadians held in Winnipeg, in October 2007. Since the 1960’s, SUSK has been creating different newspapers, featuring contributions from Ukrainian students around the world. Although the best known publication is Student/Студент, others include Studenetz, Чутки, МайжеСтудент, and SUSK Новини. All of these publications have been digitized on the “Student” archive website at student.susk.ca. Each year, a National SUSK Congress takes place in a Canadian city and is hosted by a local USO. 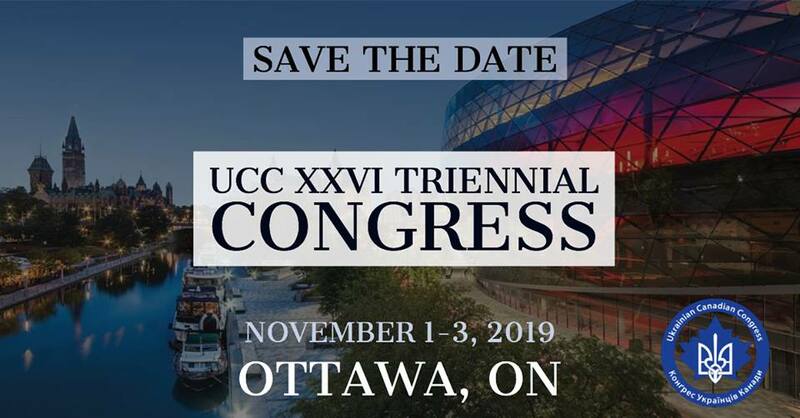 The National SUSK Congress brings together students from across Canada and serves as a forum for students to learn from both professional speaker sessions and one another. Subscribe to the SUSK Email Newsletter here.